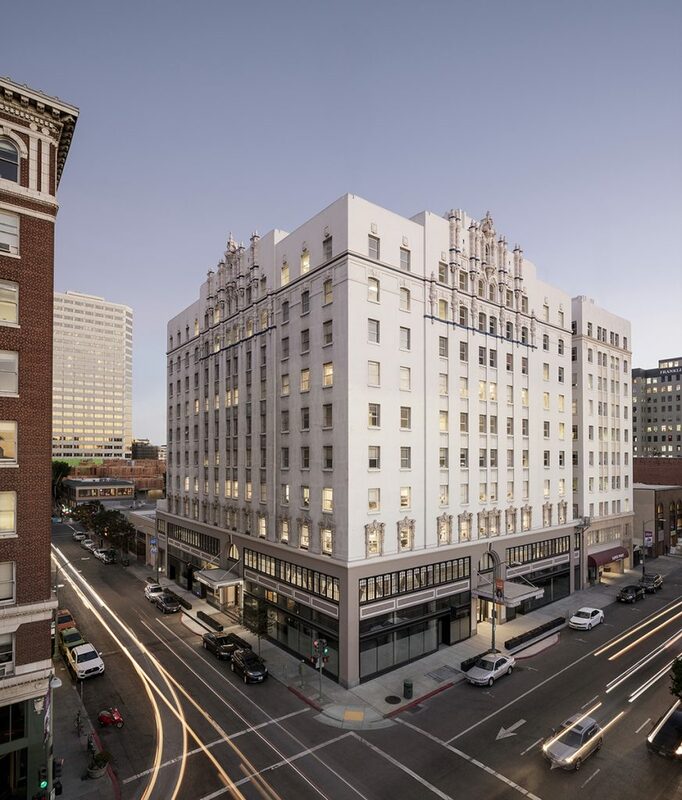 With its early 20th century Spanish-style facade reminiscent of the grand hotel it once was, the Leamington Building held deep roots in the history of Oakland. 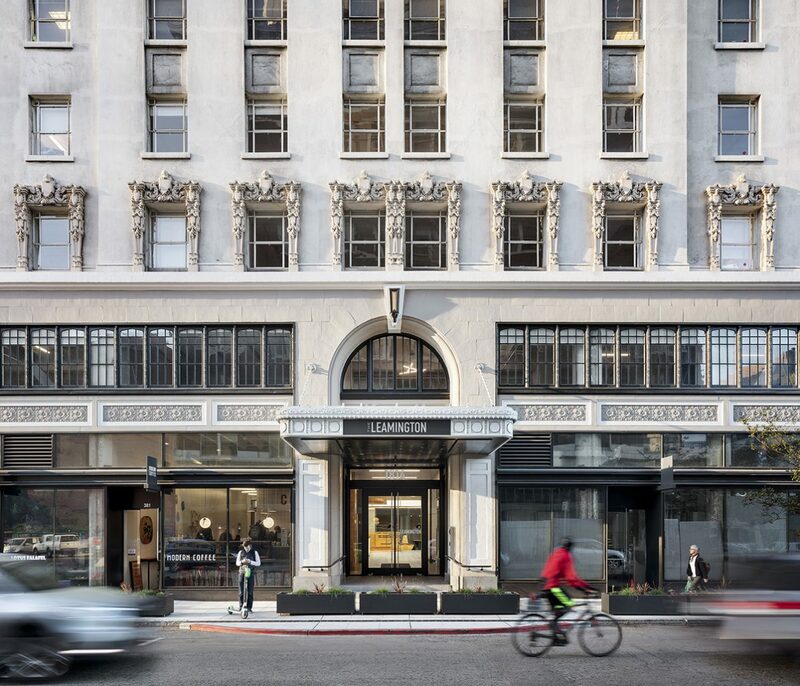 After a 1980’s re-positioning exercise, and following revitalization attempts, RMW was commissioned to perform seismic structural upgrades and transform its storefronts, lobby and office suites, launching this historic building into its new life. 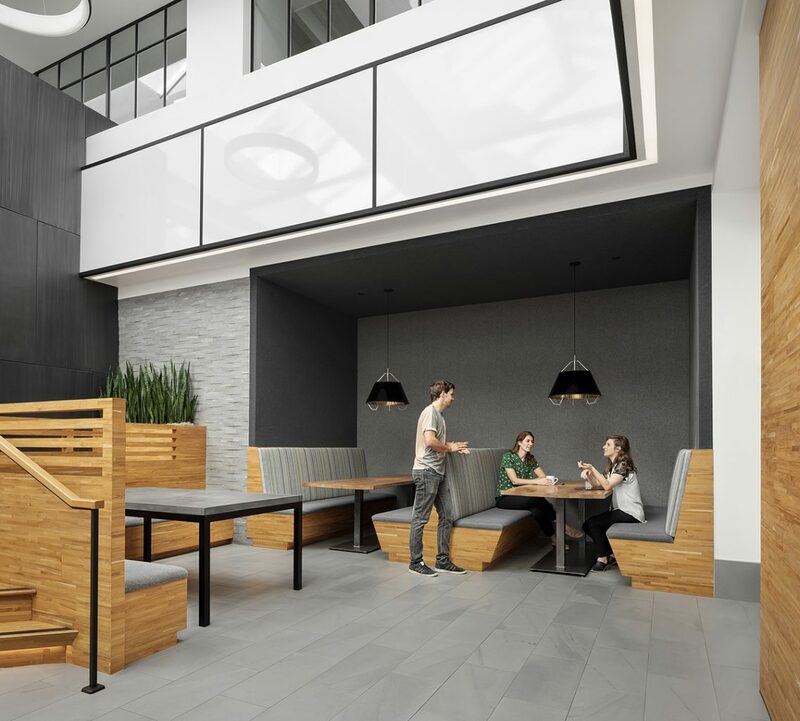 With collaboration as its primary purpose, The Leamington’s lobby is now the gateway to uptown Oakland’s premier creative workplace. Illuminated by operable skylights, the 2,000 SF collaboration area features new elevator bays and a dynamic reception desk that serves both 19th St. and Franklin St. entries. 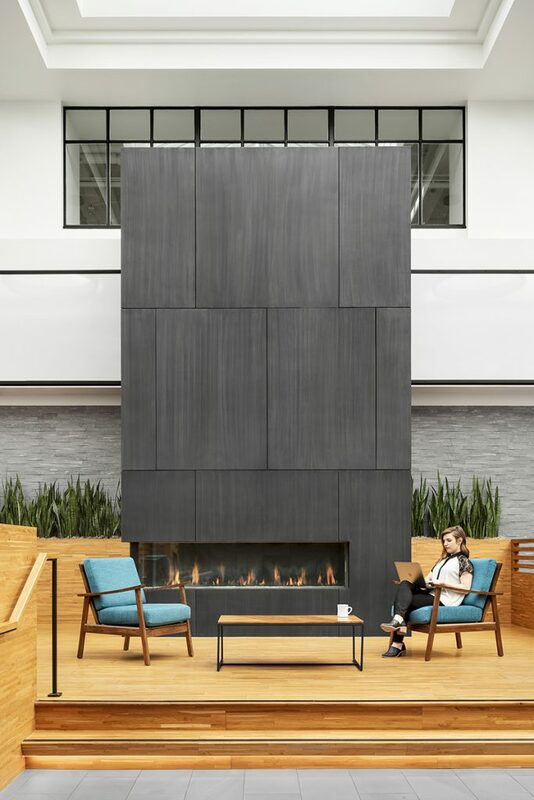 Within the airy foyer, an inviting timber platform ushers guests to the cozy lounge and slate clad fireplace, or the neighboring banquette framed work space. Secure bike storage and showers enhance the list of building amenities for its office tenants. The Leamington Hotel was considered an architectural masterpiece when it opened its doors in 1926. Amelia Earhart kept an office in the Leamington while planning her fateful final journey.